From the viewpoint of Integrative Space, everything in the environment matters. Applying Feng Shui principles to even the seemingly least significant detail in a hospital or clinic setting can bring about the most significant positive response. Currently, I am involved in a hospital remodeling project in which the installation of a living wall is being considered for a pillar. A living wall is a vertical garden, with live foliage planted on the side of an interior or exterior wall. It would support the hospital’s efforts to bring nature into their space (people heal better with plants). What if 3-4 plants were placed in each lobby and waiting area? What if there were several plants in each patient room? 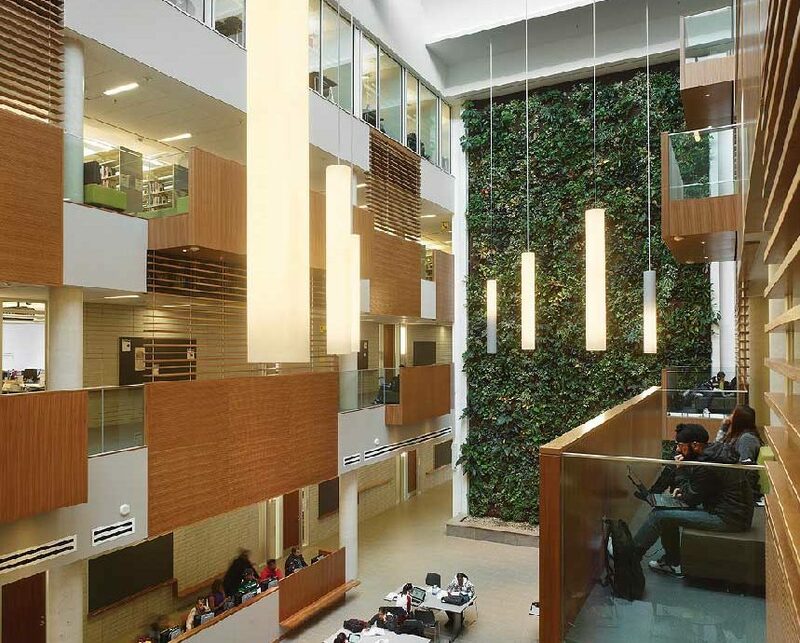 What if a living wall was mandatory in a hospital? We’re talking better quality for the patient and for their visitors. We’re seeing that patients go home sooner because of the therapeutic value of plants. I realize some people are allergic to plants so there would have to be some exceptions. But most are not. And I realize the care and management of plants would be considerable. However, if we want to create a better environment for people to heal, it seems that investing the time and finances in plants might be better than more medication. Meanwhile, I know of one hospital that is willing to invest in the installation, care and management of a living wall to help create a better experience for those who come there. A new coat of paint was just not enough.